The Three Ponds Hotel gives you the possibility of organizing various training sessions, conferences and integration meetings. 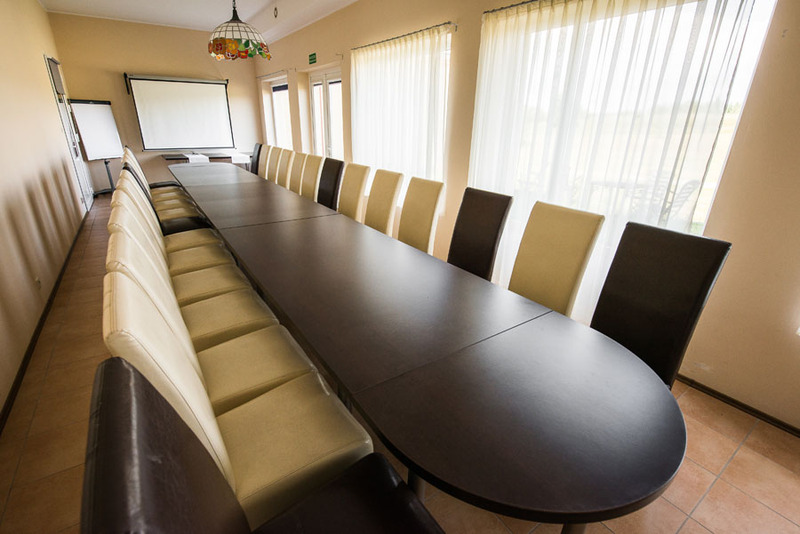 We have two conference and banquet rooms at your disposal, accommodating 50 and 20 people respectively. Depending on your needs, we can make the following equipment available for you: an Internet connection, a multimedia projector, Flip-chart boards, a DVD/CD player, a laser pointer, a TV set, a screen. Upon your request, a coffee service available during the conference can also be arranged and/or a cold buffet, dinner during a break or directly after the meeting. We offer several conference packages adjusted to your requirements, from the simplest - half-day ones at PLN 80 per person, to comprehensive ones including a night stay and full board at PLN 199 per person. Standard group accommodation is in double rooms, there is a possibility to pay extra for a single room. The packages allow you to use a conference room for 8 hours.